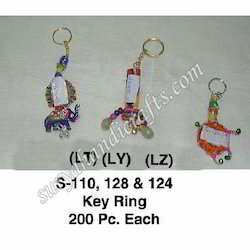 Leading Supplier and Manufacturer from Jaipur, our product range includes Key Chain such as Wooden Elephant Key Ring, Wooden Elephant Keychain, Hukka Key Ring, Key Ring, Brass Keyring, Small Key Chain and many more items. After gaining much experience in the handicraft industry we are now manufacturing the Wooden Elephant Key Ring. The wood is marvellously carved in the shape of the elephant with the help of our skilled team. These are widely demanded for portability, light-weight, durability and reliability. 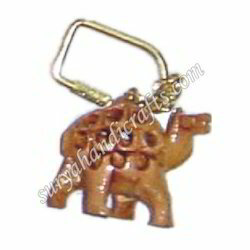 Wooden Elephant Key Ring is available in various sizes and shapes as per the client requirements. We meet the national and international standards. Having gained tremendous experience in the handicraft industry we are now manufacturing the Wooden Elephant Keychain. The antique wood is marvelously carved in the shape of the elephant with the help of our skilled team. These are widely demanded for portability, light-weight, durability and reliability. These are available in various sizes as per the client requirements. We meet the national and international standards. The client can avail this in the market at a reasonable price.